When I entered the world of freelance web design, I was unsure of how long it would take to find steady work. I soon found that there were many potential clients in my small town and elsewhere who were a good match for my services. Honestly, my first year as a web designer was more successful and fruitful than I expected it to be. However, I did learn a few lessons the hard way. I have been reflecting on why my first year turned out the way that it did and how I can improve my strategies for the future. My reflections led to this list of tips for a successful launch into freelance web design. I hope that you can learn from some of my mistakes and successes to make your own first year profitable and rewarding. This is an essential first step: our web design business pages should be professional, clean, and without errors. Keep in mind that a variety of potential clients with different design aesthetics will be viewing your site. I was surprised by the number of clients who commented that they chose me over my competitors because my website was easy to navigate and not too flashy. 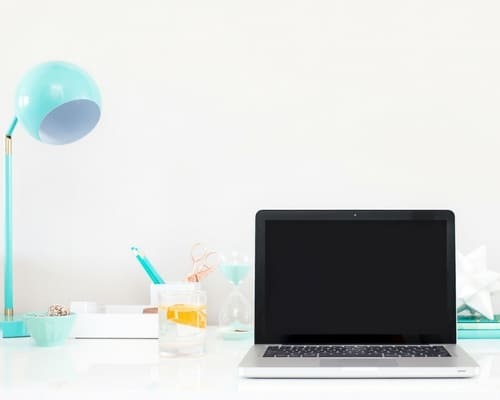 Find a balance between showing them that you can create a great, eye-catching website with modern features while also using restraint and good design principles. Use your own website’s content and design to promote your strengths from day one. When I first created my web design business website, I was concerned that I didn't have a very large portfolio yet. Then I noticed that some very accomplished developers don't include portfolios on their own websites, despite their years of experience! I was properly presenting my strengths and abilities on my “about” and “services” pages. As a result, my first clients didn't blink over the lack of a portfolio. It is important to remember that not everyone who is hiring is a good match for you. Whether your target clients are defined by location or an online niche, know who they are and where to find them. Use social media, blogs, and online communities to learn more about them and to reach out. Leave comments on blogs, interact on social media, always be friendly and respectful, and then offer your services when you see that the connection would be mutually beneficial. One of my first clients found me on Twitter and offered me a project. Social media is incredibly powerful for finding clients and positioning yourself so that you can be found. It is also important to attend local events, such as Chamber of Commerce or entrepreneurial group meetings that can lead to new connections and, therefore, new clients. Make sure that you have professional business cards on hand at such events and every other time you leave the house. I keep a stack of business cards in my diaper bag. When people ask you what’s new, tell them that you are designing websites now. When they ask for your information, hand them a card or two. I have made great connections, some of which led to acquiring new clients, by giving out business cards at the grocery store, while getting my hair cut, and at the post office. You may have already determined a price list for various services or you may have decided to determine a separate quote for each client who contacts you. Either way, it is very helpful to use what you know about a potential project to determine (1) your target price range and (2) the lowest price that you want to accept. Make up your mind on these points before you speak with the client. I now make an intentional effort to write down these two figures in a private notebook before I begin the conversation. Obviously, this projection is subject to change as you get more information. You may go to a meeting to discuss what you thought was a simple brochure site to find out that your client wants an e-commerce site with all the bells and whistles. Nevertheless, taking this step will protect you from making a time-consuming website that is way under your target price. That leads to point number four. It is essential to your success in your first year of business as a freelancer to take the time that you need to ascertain (1) how long a project will take and (2) how much you will charge for your work. Part of this requires that you ask the right questions to gather the information that you need. If you aren't sure how long it will take to achieve a certain functionality, you may need to investigate further before giving an answer. In the past, I have given a potential client a quick answer in order to win the project that day and as a result, ended up undercharging them. While a quick response may be necessary in some circumstances, it is more common that your client will allow you a reasonable period of time to get back to them with a quote. Give them a firm deadline by which they can expect to hear from you. For example: “I will email you tomorrow to let you know what this project will cost and when I can have it finished.” Every time I have asked a client for a day to get back to them about the project cost, they have been very understanding. If their project needs are ongoing and complex, consider asking them to pay you hourly. No matter what you and the client agree upon, put it down in writing in either a formal contract or an informal email agreement. There is no reason to lie about your skills or answer your client's questions with bad information. Instead, be honest and tell them that you aren’t sure but will get back to them with a helpful answer soon. If your client is asking you to do something outside of your current scope of expertise, let them know and perhaps point them towards someone who is more experienced in that area. In the short term, you may lose some business. However, you are not making promises that you can’t keep. In the long term, you are building your reputation as well as compiling a list of skills that you may want to acquire as time allows. When you make a mistake in communicating with your clients, launching a website, or handling your business finances, take note and reflect on what happened. It is very common to experience difficulties of one kind or another during your first year in any new business. However, you can make it a beneficial learning experience. For example, I made the mistake of launching two different websites too closely together. When unforeseen problems arose which were out of my control, I spent some late-night hours trying to juggle all of the balls that were in the air. Although everything turned out fine, I now leave more room for unanticipated complications surrounding launches and schedule these events farther apart. After your client's website is launched, make a plan to keep in touch and maintain your relationship. Several months or a year down the road, send them an email to ask them how their business is doing and if they need any changes made to their website. 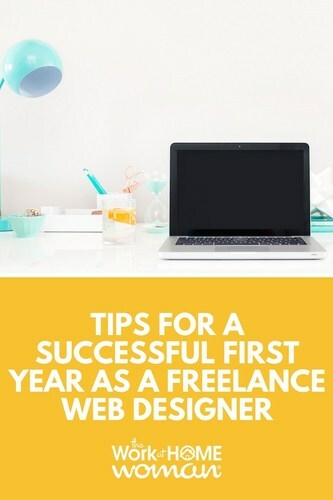 In conclusion, prepare wisely and then expect the unexpected during your first year as a freelance web designer. Always focus on building relationships with your clients and helping their businesses succeed. When you genuinely desire to help your clients, it will make an impact. Your clients will make referrals and your business will grow as a result. Meg Farrington is a freelance web designer with a background in art history, industrial design, and education. As the owner of Meg Farrington Web Design, she has created professional, mobile-ready, affordable websites for local businesses, non-profits, and national organizations across the country. She also provides logo design, SEO, email marketing, and social media management services. She lives in Jackson Hole, Wyoming, where you can usually find her playing with her baby boy, reading, or eating ice cream with her husband. Very helpful article. I especially thought #7 was a good point. Thank you so much for sharing your best tips! Thanks, Sarah! The point in #7 really is the most important. It is so crucial to invest in our client relationships and seek to improve our services based on their feedback.